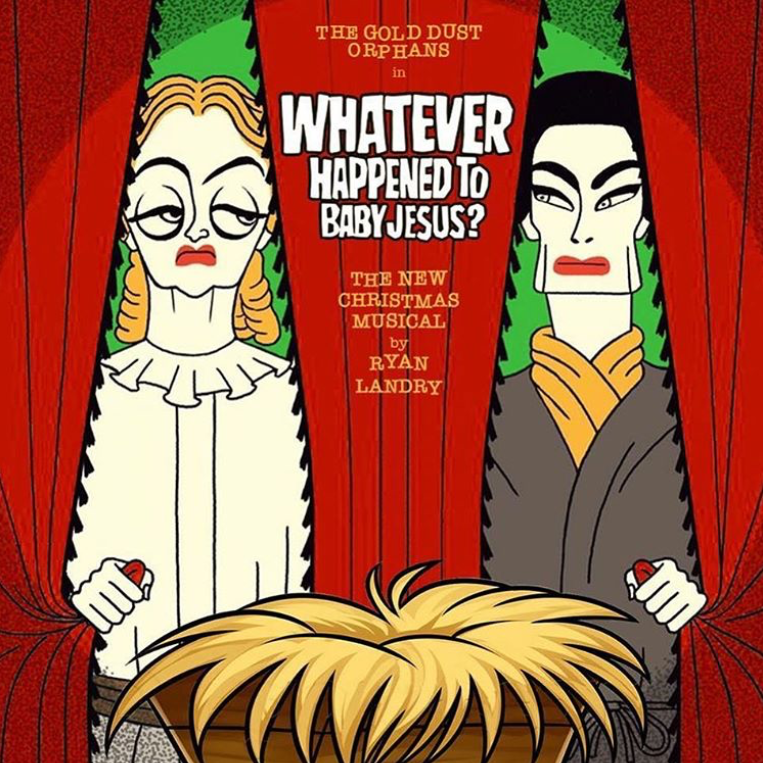 Ryan Landry and his Gold Dust Orphans are back starting at the end of this month with their new Christmas musical, Whatever happened to baby Jesus. I can only imagine how Ryan Landry’s twisted imagination will weave the story of the 1960s classic, Whatever happened to baby Jane, starring Hollywood icons Bette Davis and Joan Crawford. Opening night is Thursday, November 30th and shows will run through Saturday, December 23rd (every Thursday, Friday, Saturday and Sunday). Tickets start at $43.00 including tax and handling fees. This entry was posted in Gay, Theater and tagged BosGuy, Boston Guy, Gay, Gold Dust Orphans, Ryan Landry, Theater. Bookmark the permalink. Can you tell me how long the show run? Friends and I have tix for Sunday evening and I was hopimg to make dinner reservations in the area after the show. Cannot wait to see the show, Gold Dust Orphans have become a hilarious holiday tradition for us!! Hello Beth, I’m unsure how long show runs because I’ve not seen it yet, but typically the shows start at 8PM and run 90-minutes + intermission. So looking forward to this production!